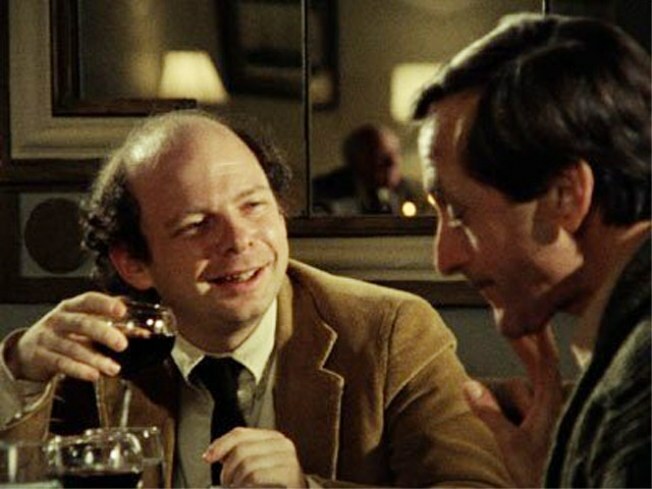 The Film Society of Lincoln Center presents “My Dinner With André” & An Evening With Wallace Shawn & André Gregory. Everyone knows the best conversations happen over a wine-soaked dinner. A movie that’s nothing more than two guys swapping stories and ideas over bistro dishes doesn’t sound terribly groundbreaking in the age of YouTube, but in 1981, when Louis Malle made “My Dinner With André,” it was a different landscape. In the film, actor Wallace Shawn meets up with his friend André Gregory, avant-garde theater director, for dinner at a French restaurant. Over the course of the meal, the two navigate possibly the best two hours of table conversation ever, swapping philosophies, parrying and thrusting when they clash, and alighting on life’s great truths and sorrows. Tonight only, Shawn and Gregory (who wrote the film’s screenplay together) reunite at the Walter Reade after a screening of the film -- part of the Film Society of Lincoln Center's A Louis Malle Sampler: 6 Classic Works -- to talk creative processes, about making the film, and what it was like to be guided along their journey by the late Louis Malle. Don’t miss it.